Home / bill of lading / Are You in Compliance With New TSCA Requirements, Shippers? There’s a new import certification requirement of which U.S. shippers of goods containing composite wood need to be especially aware. It is actually worth it for all importers to be aware, as there are forms for shippers in general to certify that their goods are either in compliance with applicable rules or not subject to them. What rules are we talking about? 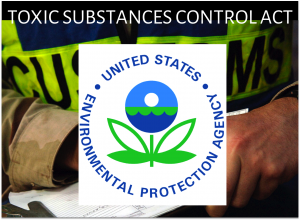 Well, on March 22nd, 2019, Formaldehyde Emission Standards for Composite Wood Products final rule pursuant to Title VI of the Toxic Substances Control Act (TSCA) went into effect. Yes that’s a mouthful, so let’s cover what it means. There are many, many goods commonly manufactured with one or more of these composite woods. In an article by Chris Reynolds of INLT, Universal Cargo’s house customs broker, Reynold’s lists examples of such goods: furniture, kitchen cabinets, flooring, picture frames, and wooden children’s toys. However, products containing composite wood are certainly not limited to these. 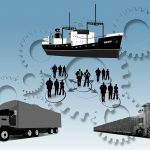 This new final rule requirements affect many Universal Cargo clients as we serve a great deal of importers in the furniture industry. Of course, our furniture importing friends are not our only customers we are making sure are in compliance during the import process. The big thing to know is that the final rule subjects products with composite woods to labelling and certification requirements. Even with the above lists of the three composite woods covered and the products not covered by the final rule, there is still room for many shippers to wonder whether the product they’re importing falls under the new requirement or is exempt. To determine if you need to file the TSCA Section 13, ODS, or TSCA Title VI Import Certifications, please contact the TSCA Hotline at (202) 554-1404. The TSCA Hotline operates Monday through Friday, from 8:30 a.m. to 5:00 p.m. Eastern time. You can also send an email to tsca-hotline@epa.gov. Of course, if you ship through Universal Cargo, we always work hard to guide you through the import and export process to make sure you meet all requirements with your cargo, so its shipment goes as smoothly as possible. What Does the TSCA Title VI Import Labelling Require? On March 22, all composite wood panels manufactured in or imported into the United States must be TSCA Title VI compliant and the label on composite wood panels must include the panel producer’s name, lot number, an EPA-recognized TSCA Title VI Third-Party Certifier number, and a TSCA Title VI compliance statement. Prior to this date, the CARB ATCM Phase II label satisfied the requirement. Similarly, the labels on finished goods imported into the United States must include the fabricator’s name, the date the finished good was produced (in month/year format), and a TSCA Title VI compliance statement. … composite wood products must be labeled as TSCA Title VI compliant, and just having a label indicating California CARB II compliance is no longer sufficient. The regulations specify the minimum information required for a label, but do not specify the format, color, size, or font for the label. What Does TSCA Certification Look Like? 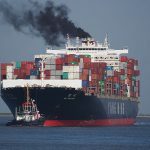 Shippers, and not just those importing products falling under the TSCA formaldehyde final rule, have forms in their paperwork certifying TSCA compliance. If importing wood, there’s a form where the shipper fills out information, including a bill of lading or reference number and product description; check a box stating either “I certify that the regulated composite wood products, component parts or finished goods imported in this shipment comply with all applicable rules or orders under TSCA Title VI” or “I certify there are no composite wood products, component parts or finished goods in this shipment”; and sign. Then there’s the TSCA chemical certification form. This form is similar to the wood one explained above, requiring importers to check a box stating either that all chemical substances in their shipments comply with all applicable rules or orders under TSCA or that all chemical substances in their shipments are not subject to TSCA before signing. 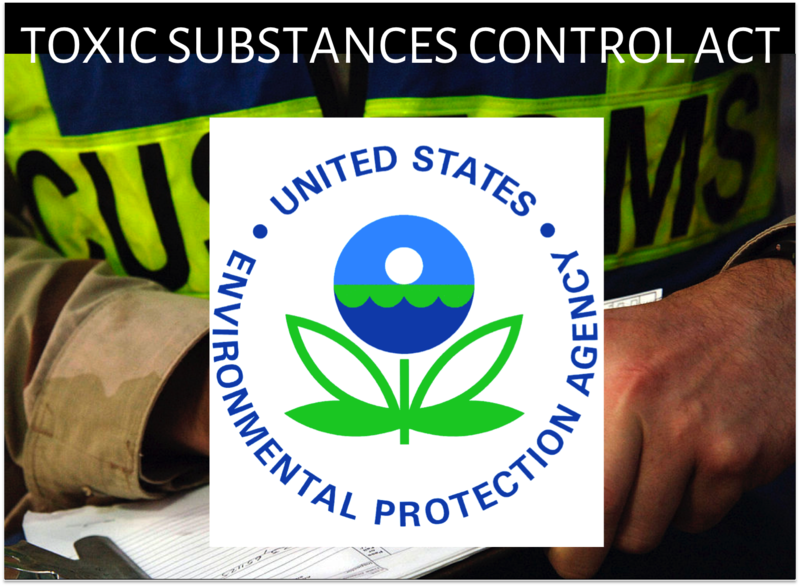 TSCA, administered by the EPA, regulates chemicals, both new and existing. It’s designed to protect the public from “unreasonable risk of injury to health or the environment” by regulating the manufacture, shipping, and sale of chemicals, affecting importing and exporting requirements of many goods. Although the final rule discussed in this blog just went into effect on March 22nd, TSCA has been around since 1976 with additional sections being added over the years.